I am interested in 0 Fort Florida Road, DeBary, FL 32713. 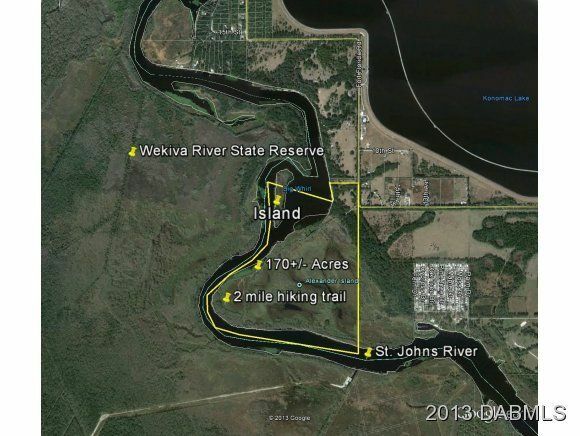 Just Reduced, the property was part of a planned 250 acre St. Johns Riverfront Development has one mile of river frontage within one mile of the Sun Rail Station. It went through all the entitlement process up to preliminary plat approval several years ago when the Developer lost their funding. The owners have decided to split the property off from the adjoining acreage that was part of the RPUD and sell it separately. This is a beautiful one of a kind Riverfront property with a very unique large nature wetland prairie with a 1.9 mile hiking trail around it. A developer Buyer would have to reinitiate the RPUD on the developable 20+ acres using the remaining property for mitigation credits or establish a environment land bank. There is also an Island that is accessible by boat on all sides.